Motion lights are controlled by a sensor that is sensitive to movement. The sensor detects lighting changes caused by movement in its field of vision, and this disturbance causes the light to activate. Sometimes the light can malfunction and not turn on when it is supposed to. This could be caused by power problems, a broken sensor or faulty bulbs. Fixing this malfunction is usually a quick and simple process. 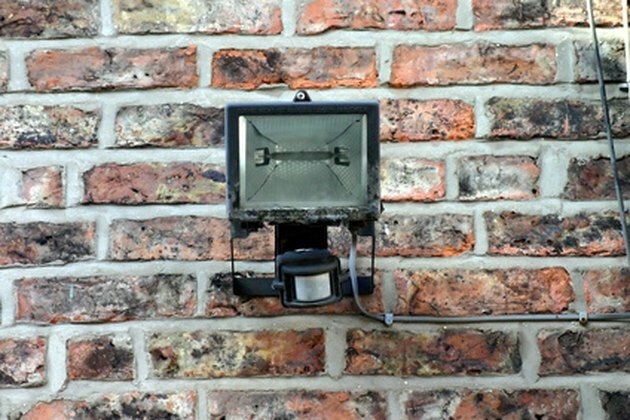 Repairing a motion sensor light is usually a simple process. Use a soft rag to clean off the photocell on the light. If dirt and debris are blocking it, it may cause the light to not function properly and either not turn on at all or turn on and stay on. Turn the power switch off and on several times if the light is hooked up to a switch. After toggling the switch several times, leave it off for at least 30 seconds before turning it on a final time to rest the light completely. Replace the batteries on any battery-powered lights or sensors. Make sure all the components are getting appropriate power to function properly. Replace the light bulbs with new ones if the light is still not coming on. Seek professional assistance if the light is still not turning on, as it could be an electrical problem or a faulty lighting unit. How Do I Reset Casablanca Ceiling Fans After a Power Outage?